A little bit of low tech improvisation here. 168004 has a yellow plastic bag over its front coupler, and even though I was a long way away shooting on a long lens, I could hear this non-standard accessory flapping about above the sound of the engines! 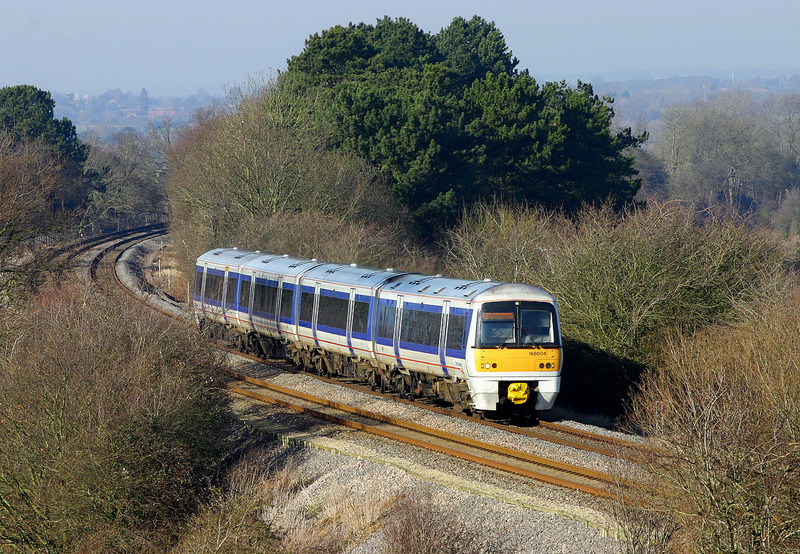 It is pictured rounding the curve past the site of the long closed Ayhno Park Platform, and approaching Ardley Tunnel with the 12:52 Birmingham Snow Hill to Marylebone Chiltern Railways service on 11 February 2008.